Early Corner Cupboard and an Unusual Art Deco Lamp! For Now, Scroll Down for Descriptions and Prices! 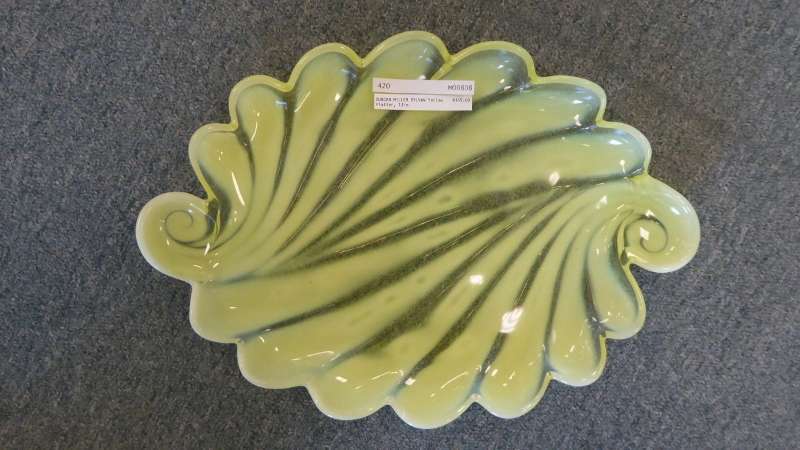 Duncan Miller Sylvan Yellow Platter, 13″, $145.00, Booth 420. 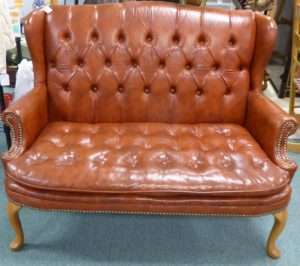 Tufted Settee from Booth 10, $200.00, Matching Chair, $175.00. 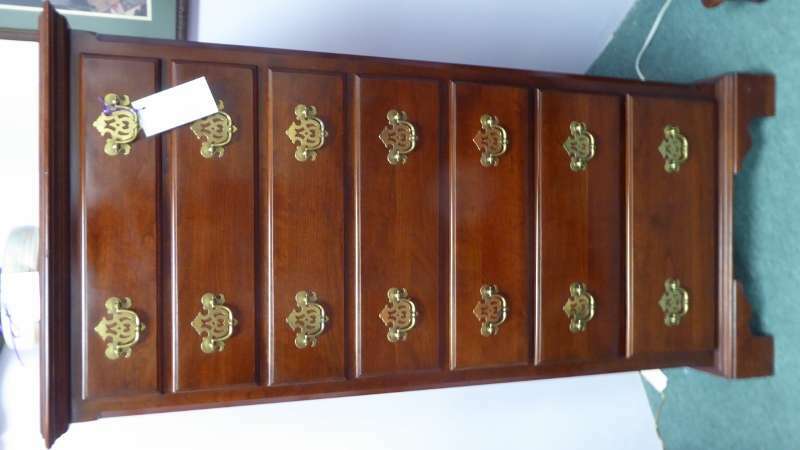 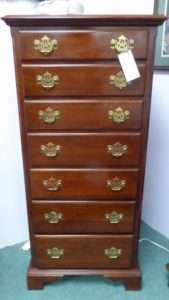 Lingerie Chest (Knob Creek) $350.00, Booth 75. 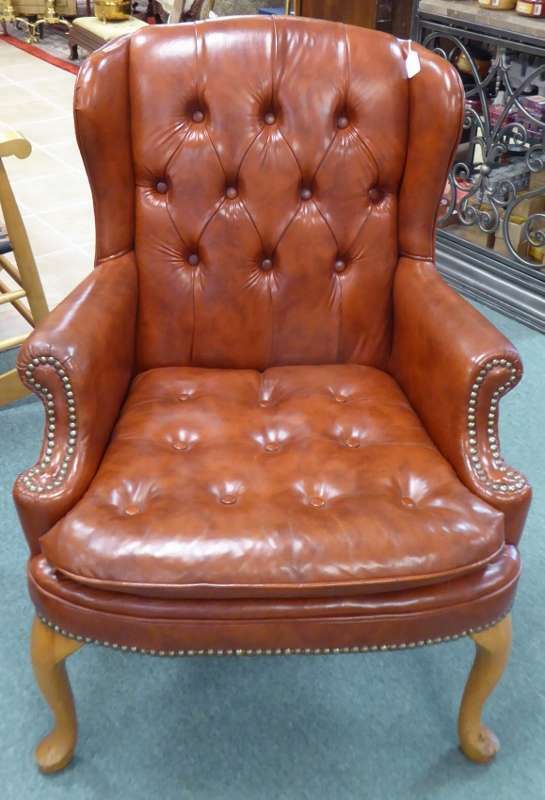 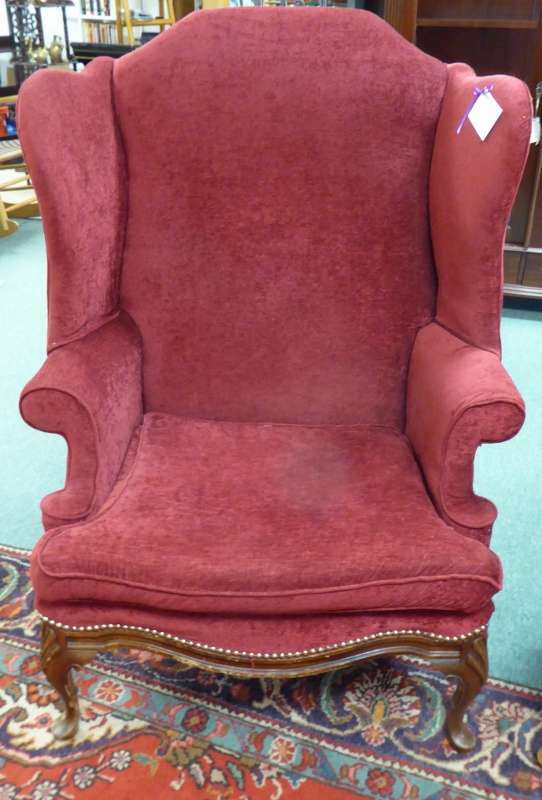 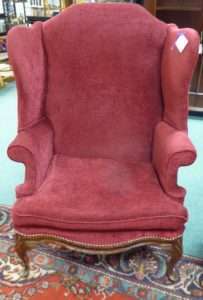 Red Wing Back Chair from Booth 75, $295.00, Pair Available, $500.00. 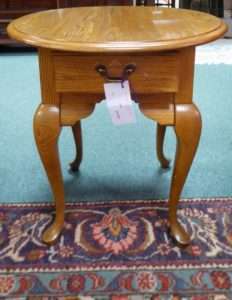 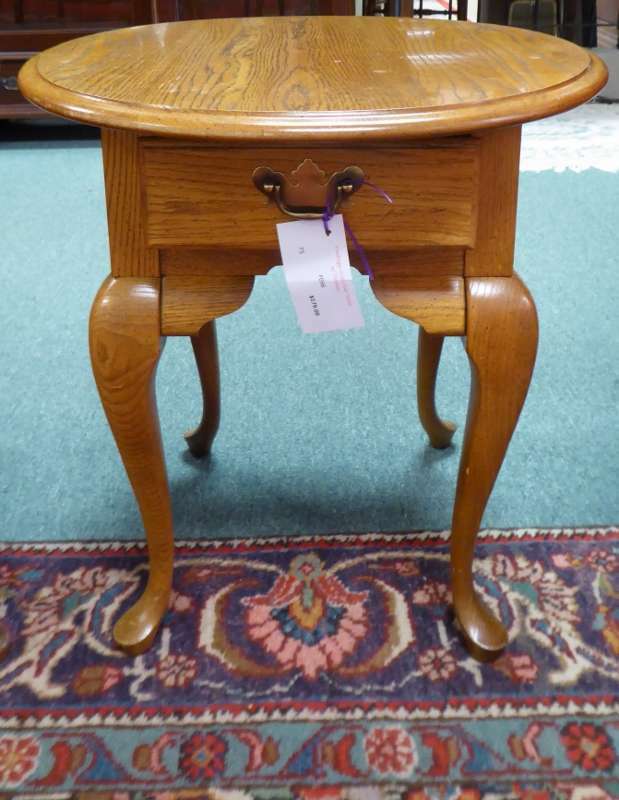 Vintage Oval Oak Table – $179.00, Booth 75. 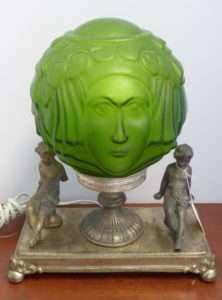 Incredible Art Deco Lamp – From the Treasure Room, $750.00. 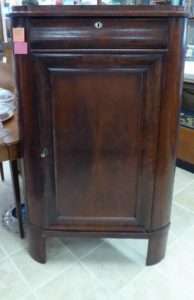 Early Unusual Corner Cupboard from Booth 33ha – $345.00. 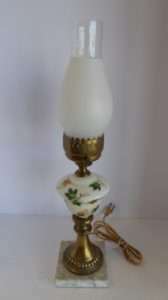 Pretty Handpainted Lamp – Booth 411 – $42.95. 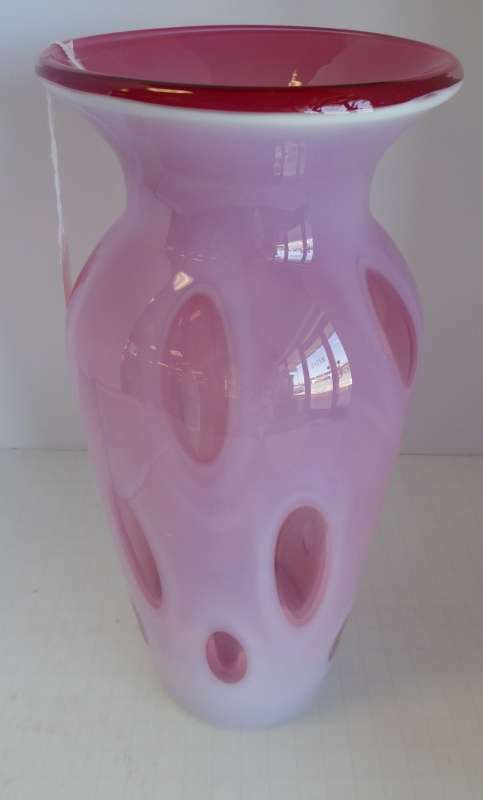 Cranberry Opalescent Stretch Coin Dot Vase, 12″, $145.00, Booth 420.